Better than sports drinks, coconut water provides athletes a natural potassium and magnesium-rich drink that rehydrates the body while reducing inflammation and balancing blood sugar. A scientific review published in the Molecules journal showed benefits ranging from lowering high blood pressure, preventing heart attacks, and healing cancer. It also contains a plant hormone called “trans-zeatin” that may be helpful in treating dementia and Alzheimer’s disease. The health benefits of drinking coconut water is optimized when you drink of it fresh from the coconut. However, they are not available everywhere in the world. In some places, people will have to resort to packaged coconut water so it is always best to try to get them as close to the real thing as possible. The absolute best coconut water comes straight from a coconut tree. It should be young and green (see image above). Before I go into the brands, I want to say again: Get the real thing! If you are fortunate enough to have an Asian market near you, chances are they may carry the real thing. They are often shaved and look like in the image below. You will need a cleaver to chop through the shell and it can be quite a challenge. 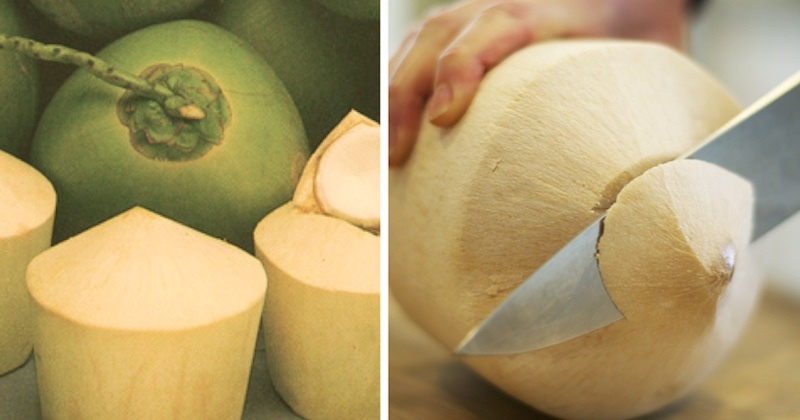 But, once you are able to cut it open, you will appreciate the real coconut freshness and sweetness! Coconut water is a nutrient powerhouse, packed with antioxidants, amino acids, enzymes, B vitamins, vitamin C, and full range of electrolytes that your body needs to boost the immune system. Having said that, do not drink coconut water in excess. Too much of anything good may backfire. The anti-aging benefits of coconut water are numerous, and food manufacturers have taken advantage of its popularity. If you must opt for packaged water, choose raw and organic, or organic using High Pressure Processing (HPP). Like anything else (when it comes to food)—know your source. Not all packaged coconut water are created equal—since many brands have been ruined by harmful chemicals or processing. Coming from a tropical country, I grew up drinking fresh coconut water that I can get anytime and anywhere I want. Having moved to Canada, I have on a few occasions, tried to drink coconut water from boxes or can, out of desperation for coconut water craving. Yuck! I could tell fake coconut water from the real one, and most packaged coconut water really taste horrible. Some are two sweet, some leave a bad aftertaste, and some totally don’t taste like coconut water at all. Young coconut is supposed to give a mild taste of freshness and is naturally sweet. Most manufacturers use mature coconut or pasteurized coconut water, altering the taste then add flavors and sugar to sweeten or mask the taste. The result is disaster! Although many packaged coconut water claims to be “pure” or “100% coconut water”, many are not! Most manufacturers have adopted several methods of packaging that ruin its purity, in the name of profit. Nutrient-dense water comes from young green coconut. As the one-seeded drupe ages, the nutrients seep into the meat of the coconut. Therefore, the water loses its nutritional value and also becomes more acidic. Not only are the nutrients severely depleted, the taste of mature coconuts differs from that of young coconuts. Mature coconuts are better for making coconut milk, oil, and other products. They also cost less to manufacturers. Heated and reduced to a syrup, regular water is later added to this coconut water syrup for packaging. When coconut water (or any fruit) is heated to this extent, it loses its nutrients, and its beneficial enzymes are denatured. Importing coconut water syrup is also cheaper for the manufacturer. Due to its delicate nature, coconut water is easily perishable. It should be kept cold when opened and exposed to air. Some manufacturers use extremely high heat to kill bacteria to extend shelf life of the water. This process destroys its vitamins, minerals, and enzymes—as well as flavor. While there are other ways to kill bacteria and still keep nutrients intact, manufacturers disregard more healthful methods. If coconut water is also from concentrate, it will have gone through the heating process twice! Having denatured its natural taste and flavor, the manufacturers add artificial flavors or sweeteners to try correcting the taste. Many non-organic coconuts are preserved for transporting to the United States by dipping them in known carcinogens—formaldehyde or sodium metabisulphite. These chemicals may seep into, and poison the coconut meat and water. Hold these thoughts in mind and we will go into brands that use the above method which are to be avoided. On the other hand, the other safer and healthier alternative to extend the shelf life of coconut water is by High Pressure Processing (HPP). HPP is a cold pasteurization (as opposed to high heat pasteurization) technique that is applied to the coconut water that is already sealed in its final package. No additives are added in the coconut water that is canned or packaged making them “100%” purely just coconut water. The final packages are introduced into a vessel and subjected to a high level of isostatic pressure transmitted by water to inactivate the vegetative flora (any microorganisms) present in the food. This method safely extends the product shelf life without heat, preserves the enzymes, nutrients and freshness for longer. 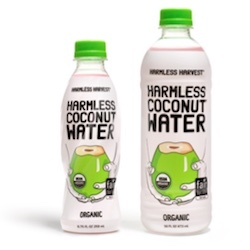 Not all coconut water brands are bad, you just need to look for brands of integrity that use the HPP method, or in the case of Harmless Harvest—they use a micro-filtration technology. 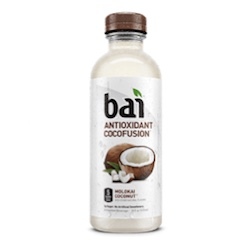 I did a little looking around and found some coconut water brands that are actually good and worth drinking, in the absence of fresh young coconut. Coconut water taste is very personal, whether it’s fresh or adulterated. Some people don’t even like the taste of fresh coconut water but love the altered taste of a denatured brand. The following brands are recommended for their taste, quality, nutrients and flavor that are closest to the real thing. As with all-natural products that has no preservatives, coconut water may turn bad when exposed to heat in transit, or if not consumed immediately after opened. Always check the expiry date and trust your instinct if you think the taste is a little off. This brand is certified organic by USDA and packaged in BPA-free bottles. It uses the Nam Hom coconut variety said to be the tastiest coconut in the world. Using a micro-filtration technology to remove bacteria, it bypasses pasteurization and is bottled without preservatives. The result is that nutrients and taste are preserved as close to a fresh coconut as possible. This is the most expensive, but you get the best of Nature in a bottled convenience. Available for purchase at Whole Foods. Derived from Thai coconut—which is the sweet variety—this coconut water has a smooth, refreshing, naturally sweet flavor. Their website says that their cans are BPA-free, a definite plus! You could also find some pulp bits in the can, making it authentic. It is a little pricey, but you pay for what you’re getting. Although this is not pure coconut water, it tastes almost like the real thing, only richer and more flavorful. It has no synthetic ingredients added, doesn’t use artificial sweeteners nor preservatives, is not pasteurized, and has very low calories (only 5 per 8oz serving). It is sweetened with stevia and erythritol (low GI). With only 35 calories per serving, no fat and no sugar added, you can drink this brand without guilt. 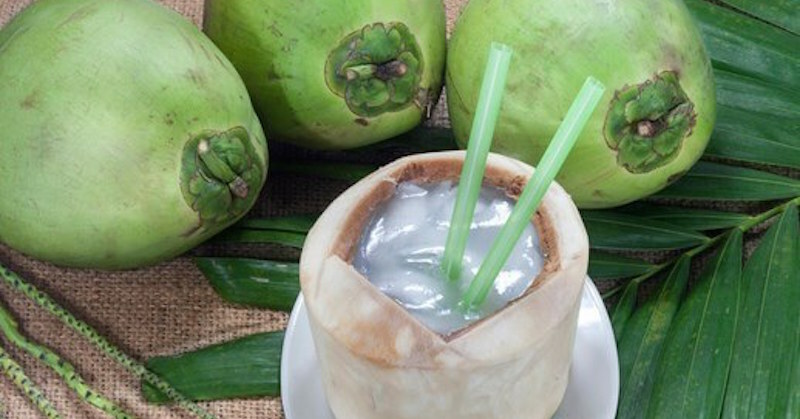 Like a real coconut, it is thirst-quenching, tastes fresh, unsweetened and very close to the real thing. As with many of these honest brands, there are no preservatives whatsoever so products must always be kept away from heat, or preferably chilled. And … it is best drank chilled! Trader Joe’s coconut water is 100% pure from Thailand (the sweet variety). They use the HPP method and are stored refrigerated so I would add them to this list. The taste is great, like the real thing, and the price is unbelievable too! This company produces various juices by cold-pressing whole fruits and vegetables, does not add artificial additives and flavors, no extracts, sugars nor fillers. This brand’s coconut water is pure, using Thai coconut (the sweet variety), and absolutely nothing else added. The down side to this brand is that it may not be available everywhere in the USA. Look up their website. 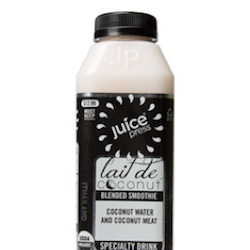 Exotic Superfoods Coconut Water is USDA certified as 100% organic, is raw, non-heat pasteurized and not homogenized. They are not available everywhere in the USA but you can key in your zipcode in their store locator on their website to see if there is a store near you, or whether they can deliver it to you. They ship to you frozen and in cooler with dry ice to preserve its freshness. Expect to pay high price for it. This brand sells cold-pressed juices and their coconut water is organic, fresh and non-pasteurized, nor processed with the HPP method. At the time of writing, they have 54 outlets in four regions: New York (47), New Jersey (2), Massachusetts (3) and Connecticut (2). 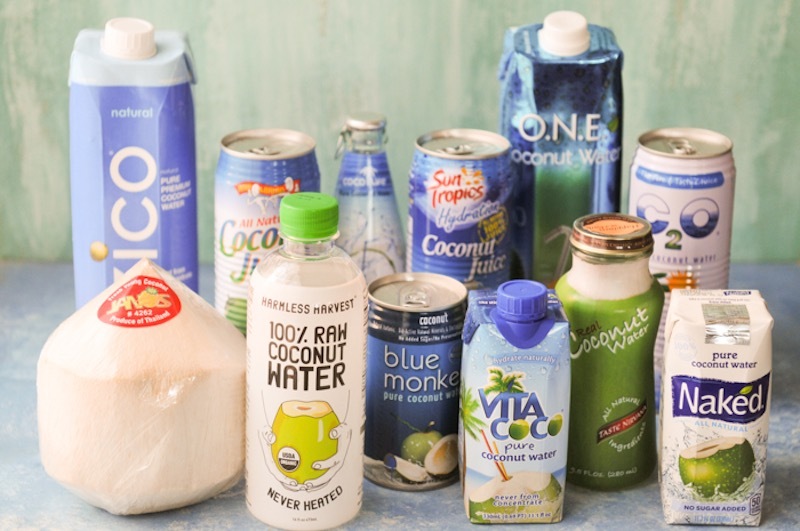 The following is a list of brands that may have touted their drinks to be “100% Coconut Water” or “All Natural Coconut Water” But, let the buyers be aware! C2O: This brand uses high heat pasteurization up to 120 degree Celsius with the product in their steel and aluminum cans. Coco Libre (Organic): While this brand is labeled organic, it uses coconut water from concentrate. Their processing practice uses flash pasteurization with heat. Natural flavors are also added. Cona Zona: This brand’s nutrition label reveals its coconut water is made from concentrate. GOYA: This brand spent mega dollars on fighting GMO labeling in California. They use heat pasteurization with added preservatives, including sugar. Naked Juice Coconut Water: This Pepsico brand uses water from mature coconuts and then flash pasteurizes using heat. They have faced a class action lawsuit for using synthetic substances and genetically modified organisms (GMOs) in their produce while labeling deceptively. O.N.E. 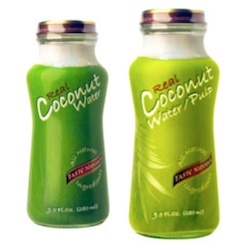 Coconut Water: This is another Pepsico brand that uses flash pasteurization with heat. Their coconut waters contain natural flavors and sugar. The sugar ingredient isn’t classified as to the type, but it may very well be a GMO type as used in their other brand, Naked Juice. Purity Organic: While this brand is labeled organic, it doesn’t use the best practices. 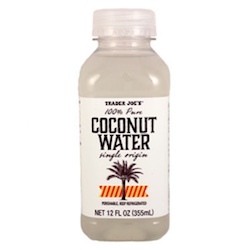 It uses concentrate and flash pasteurization with heat in processing their coconut water. 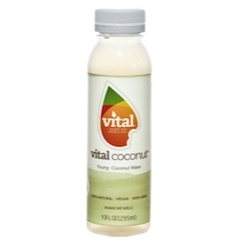 Vita Coco: Touted as being “100% pure,” this brand pasteurizes its coconut water with heat and contains added sweeteners. They also have a Café version which contains carrageenan – which is an emulsifier that may wreak havoc on gut health. Zico: Although its website claims that their coconut waters are non-GMO, their coconut waters are pasteurized with ultra-high temperature pasteurization. 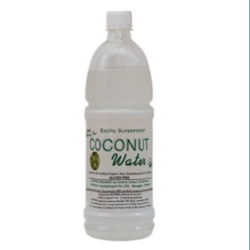 This ultra-high heat process kills the enzymes and vitamins, leaving the coconut waters with not many health benefits. Munkijo: Although their coconut water contains no additives or added sugar, they use ultra high heat pasteurization so it’s far from desirable. Blue Monkey: Is said to be 100% pure organic coconut water from the Philippines. Unlike the other recommended coconut water, it has a long shelf life so I am a little curious about it. Neither could I find reliable information about its integrity (their website is under construction), so I would give it a pass. Whole Foods 365: Although they don’t use concentrate, their coconut water is heat-pasteurized and canned. Amy & Brian: Touted by many as “healthy”, is a brand that can be considered, though not high on my list.There is no added additives, sugars or concentrates. The coconut water is processed using flash pasteurizing which means they are heated at high temperature for a short time (15 seconds). This may be the next best method after HPP. Coco Hydro by Big Tree: This brand is different from the rest, as it comes in powdered form which they market as “light” and “travels easily”. You add water to reconstitute it. However, to process evaporation requires heat, which means some nutrients may be destroyed in the process. So there you have it, mention of 22 brands, the ones that are recommended, to totally avoid and the other brands that can be considered if you have no other choices. Of these listed above, Vita Coco Pure Coconut Water although costing more than the rest, seems to be most people’s favorite brand. Costco does produce quite a few good products with their signature brand Kirkland. Unfortunately, the Kirkland’s coconut water is not one of them. As the name implies, the coconut water is “sweetened”. Most consumers found Kirkland’s coconut water to be too sweet for their liking, lowering its review rating to just 2.5 to 3 stars. There are too many coconut water brands in North America to mention them all. For the top best-selling coconut water brands, we pick only the top three brands to be listed here. These top three brands are people’s choices (not mine) and not necessarily the healthiest, according to their methods of processing. 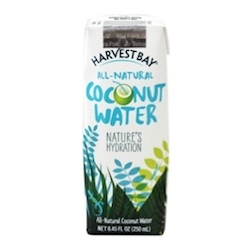 Please see my article above, with the breakdown of healthiest coconut water by brands. So there you have it, the best coconut water brands for 2018, by people’s choices. At the end of the day, remember that fresh coconut water is still the best! If you’re not looking to drink coconut water for ailment therapy, then it can be a highly rewarding and refreshing treat once in a while. Tell us what brand(s) you drink and how you like them!